How To Become A Gratitude Ambassador? Become an ambassador and spread gratitude around yourself. Wait! but how? Here’s How. Hold On! Hold On! Hold On! Kidding!! We are not talking about any Embassy Ambassador here. We are talking about WannaThankYou gratitude ambassador. So WannaThankYou an online gratitude spreading application has come up with an opportunity for you to become a gratitude ambassador. Where WannaThankYou will give you points for each new user you invite and you will be rewarded with WannaThankYou merchandises. “Gratitude can transform common days into thanksgivings, turn routine jobs into joy, and change ordinary opportunities into blessings”. Everybody wants to be recognised for the good they deed or for the money they donate but nobody wants to be recognised for showing gratitude. We all have taken gratitude for granted. But in between these, WannaThankYou, a gratitude spreading platform has came up with the application where you can show gratitude to anybody. You can make your and someone else's day a Thanksgiving. Turn routine jobs into joy or you can turn simple opportunities into blessings. 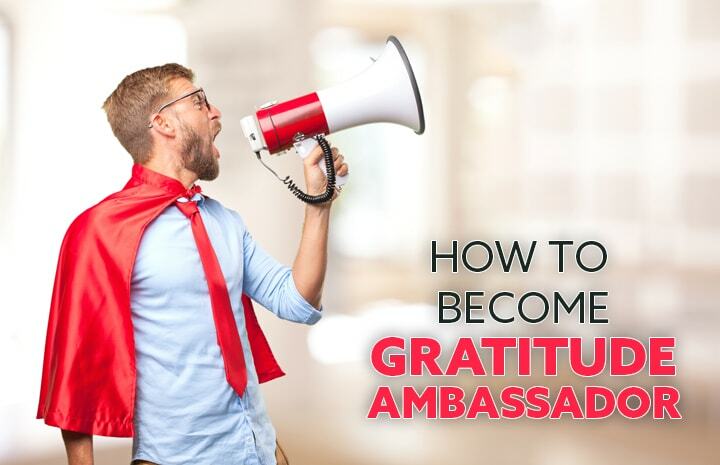 Now how to become a gratitude ambassador? Follow these simple steps and become an ambassador of gratitude. Now click on Become an Ambassador. Invite Friends or Family members to join. For each joining, you will receive points and for achieving milestones you will be rewarded by the WannaThankYou merchandises. Yes, I guess. It is that simple to become a gratitude ambassador. Also, you get the chance to win exciting merchandising. So what are you waiting for? Claim your ambassadorship and become a person spreading gratitude. Let the world know the importance of gratitude. Come and join the Tribe Here. 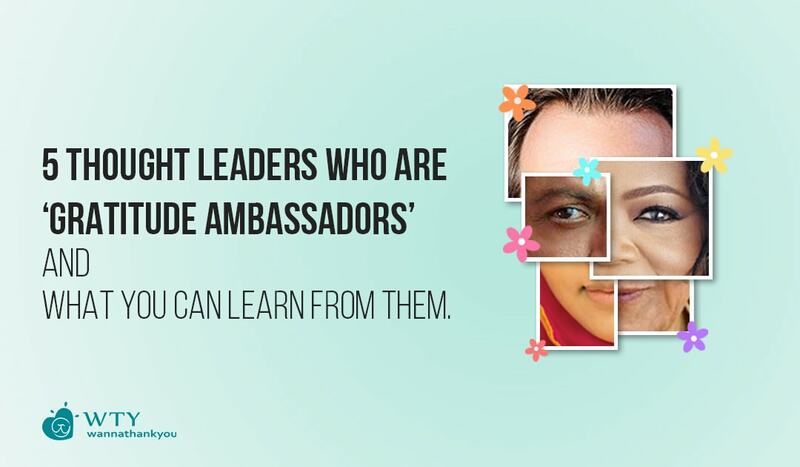 5 Thought Leaders Who Are ‘Gratitude Ambassadors’ And What You Can Learn From Them.